It was one heck of a late lunch. 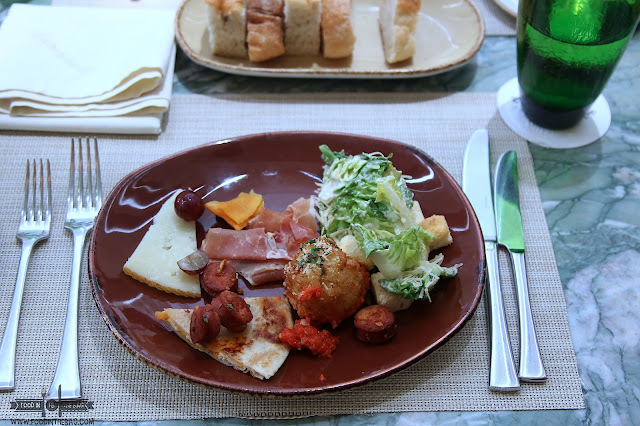 DELICIOUS DISHES served left and right. 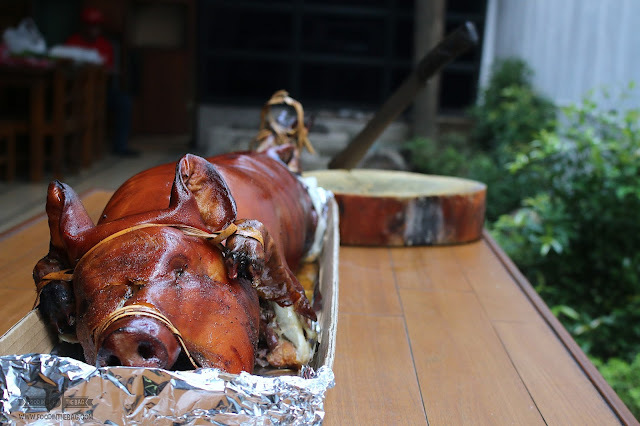 Friends gathered in TRELLIS RESTAURANT in QUEZON CITY to enjoy one delightful afternoon. 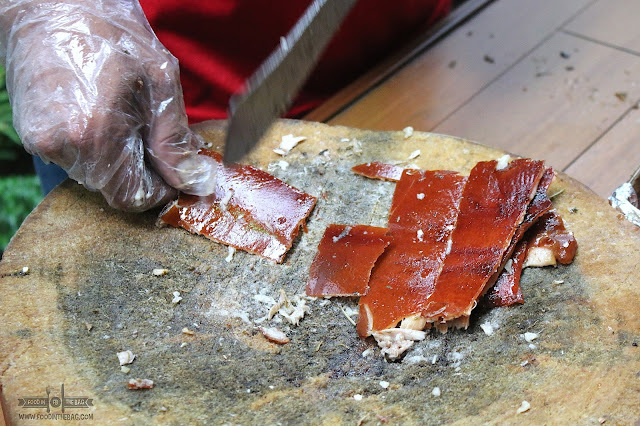 With cold ice beer in hand, one has to appreciate the amazing artisan and delicate procedure done to this versatile meat. 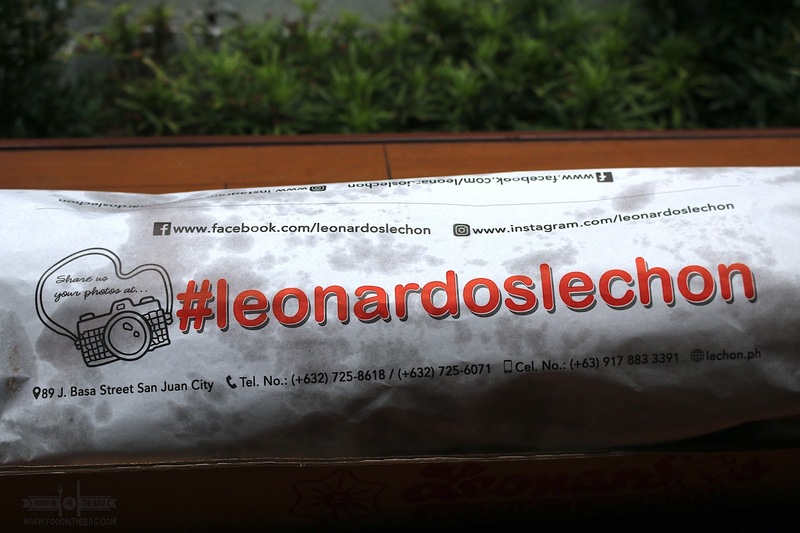 The main draw would be LEONARDO'S LECHON. 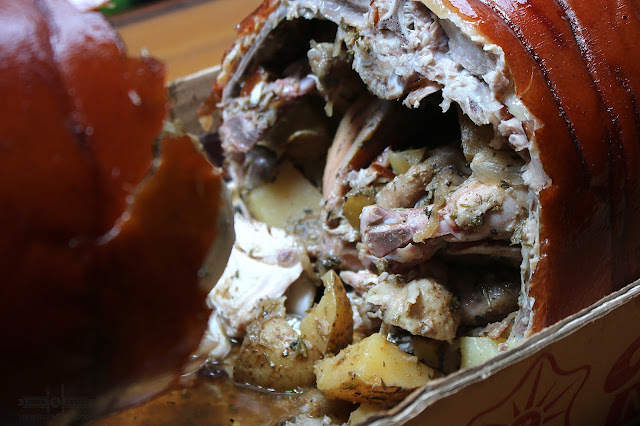 STUFFED ROASTED PIG, this one has skin that would make you cry. Very well seasoned meat and delicious chicken, would make one heck of a meal. You read that right, couple whole chicken are placed inside alongside different herbs, spices, and potatoes. But, I'm getting ahead of myself. 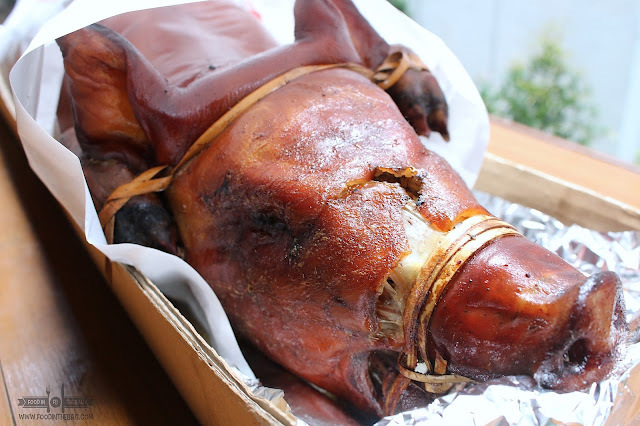 Looking at this brown reddish roasted pig, one can't help but be amazed with everything. The smell, the sights, and everything else can make everyone drool. First things first, piece by piece different components gush out. From herb potatoes, chicken, and other spices. It was a treat for the senses. As mentioned, badass whole chickens are placed inside the pig. 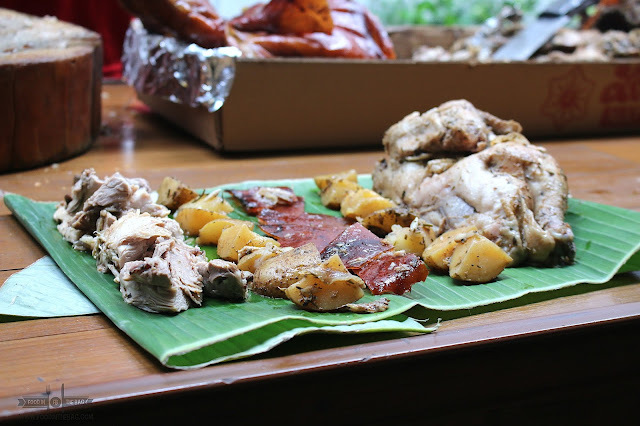 So, it's more than just pork, there's also poultry in the mix. Speaking off, the skin. 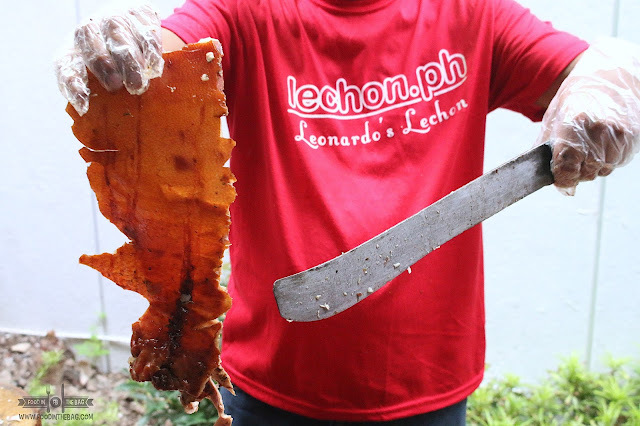 Crispy and crunchy, this one is the main point of having lechon or ROASTED PIG. The darn good skin! 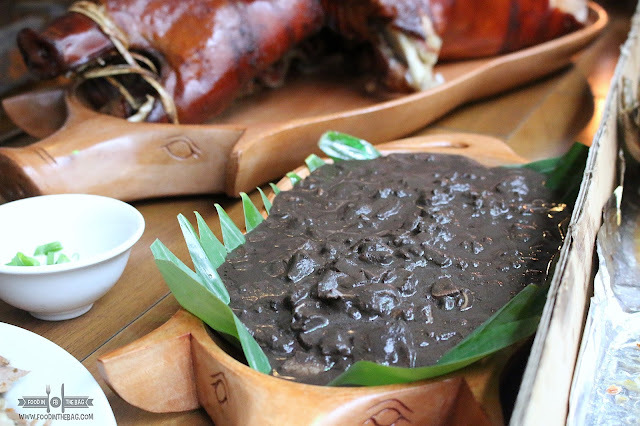 Aside from the roasted pig, LEONARDO'S LECHON always give dinuguan as part of their package. Not wanting to be left behind, TRELLIS whipped up a storm too. They served their best sellers. 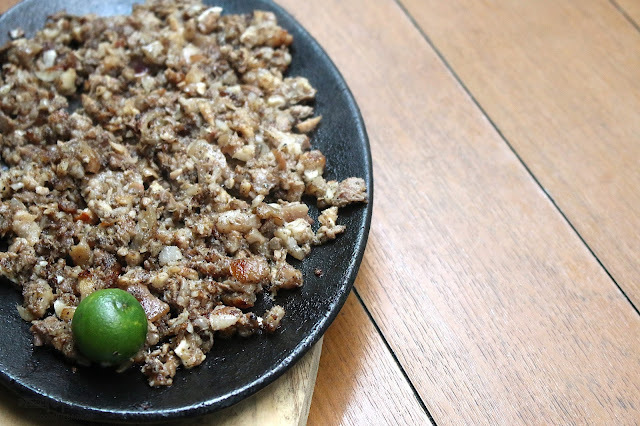 One could start off with their version of the sisig. 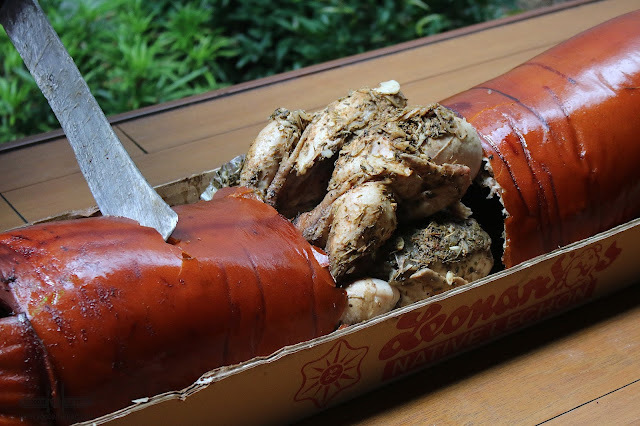 Placed on top of a sizzling plate, different cuts of pork are mixed and match to create this beer perfect dish. 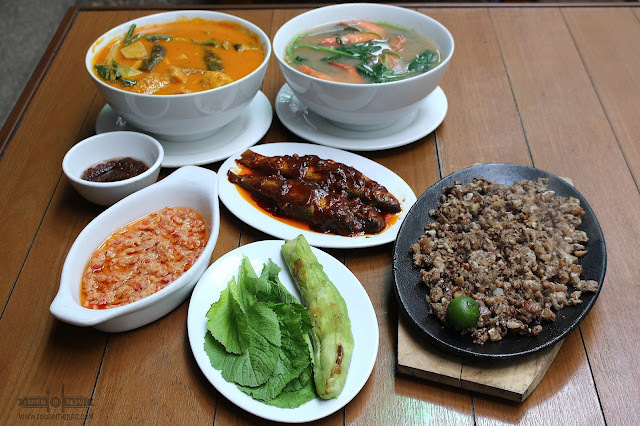 A Kapangpangan specialty, the BURO or fermented rice is also available at TRELLIS. This one is shrimp based and works well with the different greens on the side. 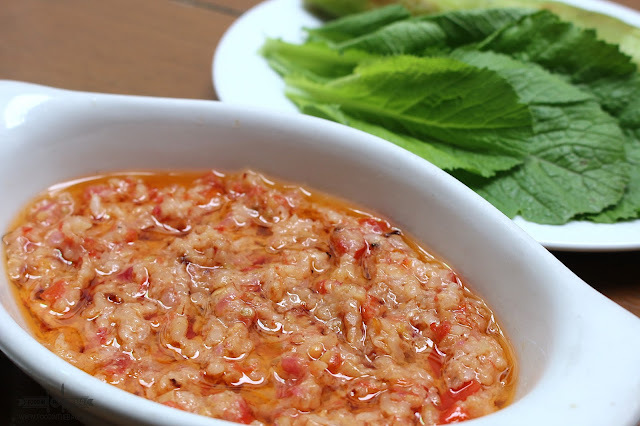 Usually, one could eat this with fried fish or basically everything and anything. 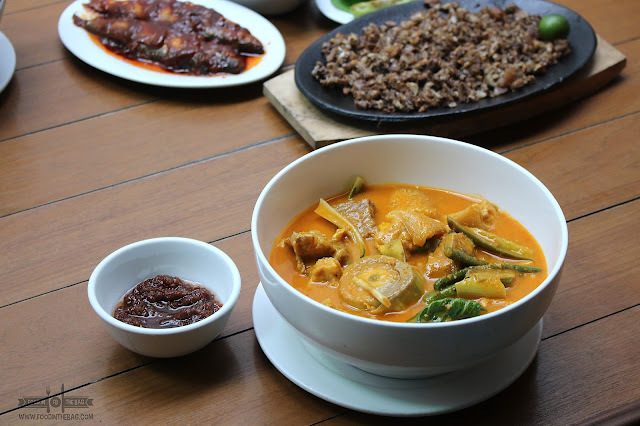 Aside from these, TRELLIS also prides itself with KARE-KARE. Their version is cooked from the ground up. Real peanuts are used. 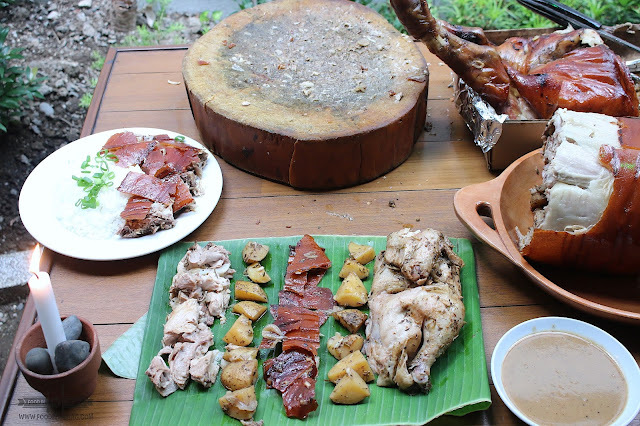 It's served with bagoong or shrimp paste just to give that exact sweet and salty flavor. Check out Leonardo's Lechon as they have different flavors and variants of their stuffed lechon. 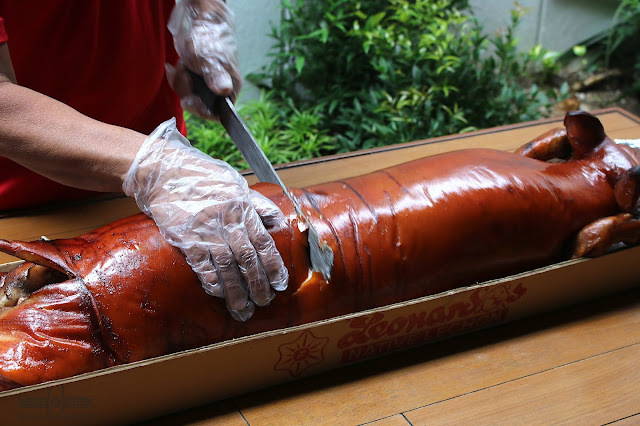 Ang sarap namn Po ng Lechon na yan.